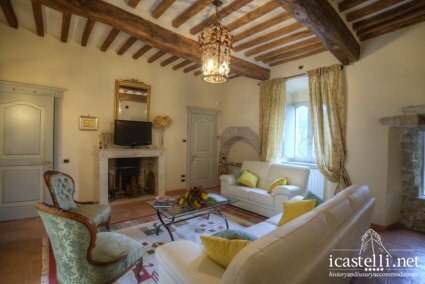 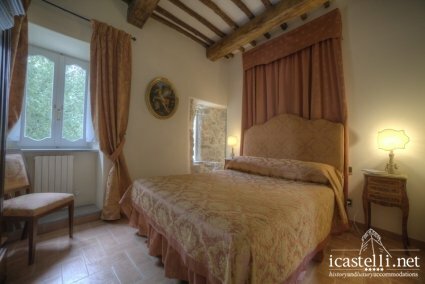 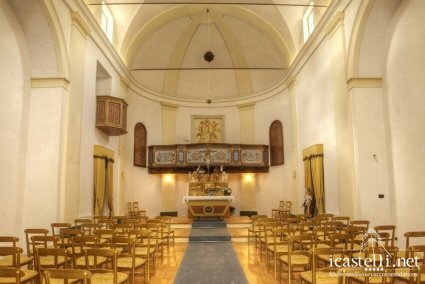 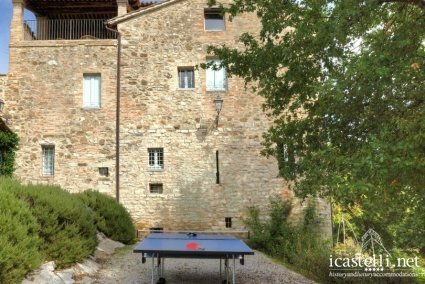 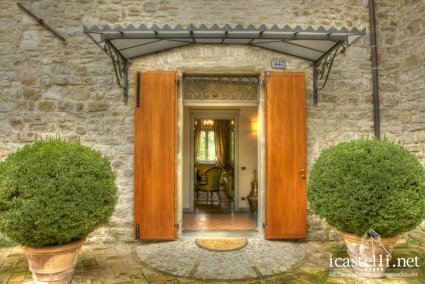 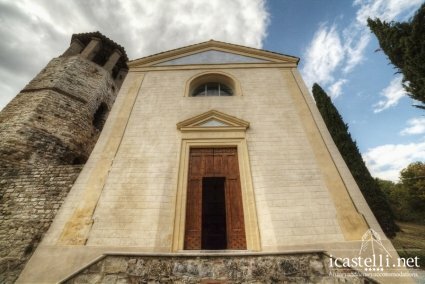 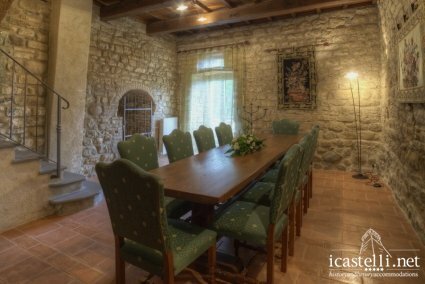 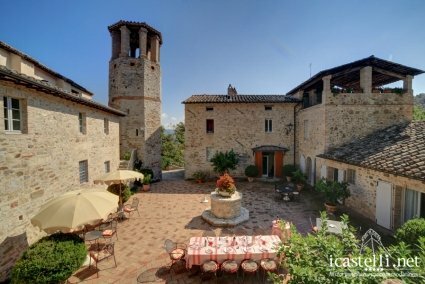 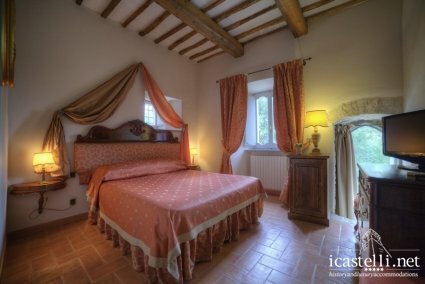 Le Torri di Bagnara’s main house is a magnificent 11th century historic Abbey (a former Castle), encircling a court yard, beautifully restored to create a private house. 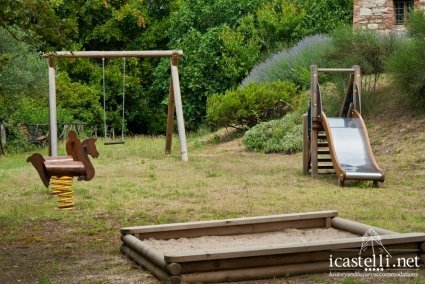 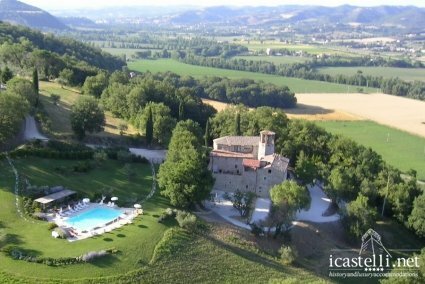 It is set in the centre of the superb 1500 acres Bagnara Estate, complete with lakes, animal breedings and a natural reserve. 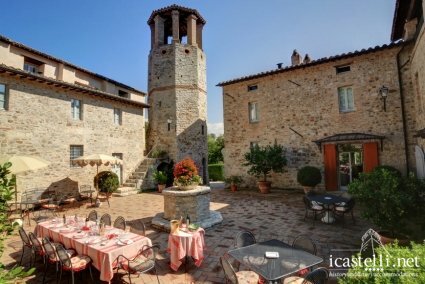 Perched high in the Umbrian hills not far from Perugia and many of the area’s historic gems, midway between Florence and Rome, this peaceful estate makes a tailor-made base for a best stay in central Italy. 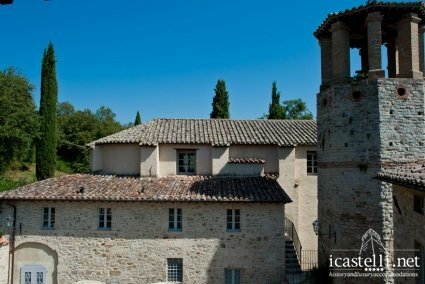 The Abbey has been restored to the highest standard of renovation and design to create a luxury villa with 7 rooms and 9 bathrooms. 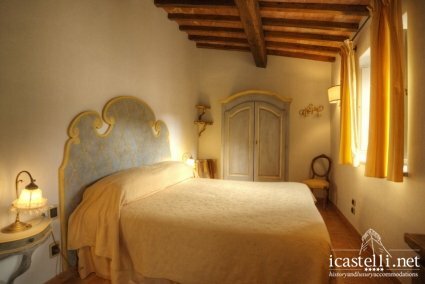 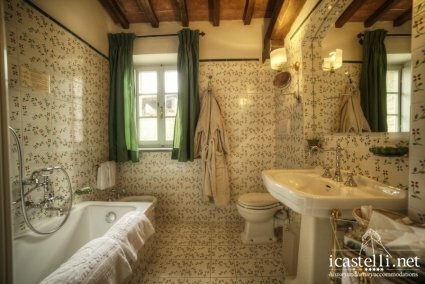 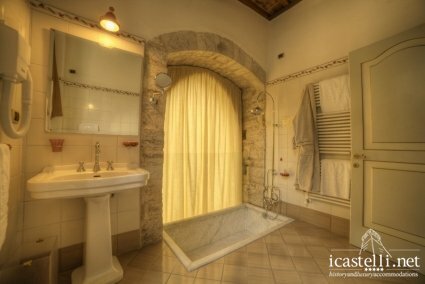 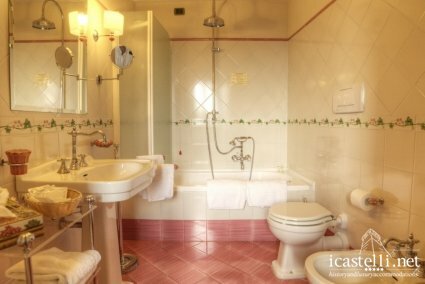 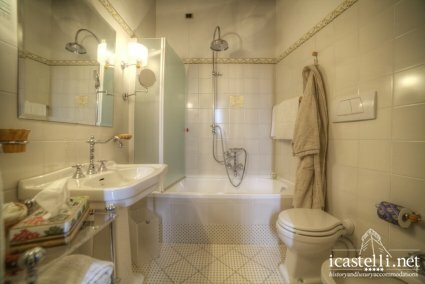 Each bedroom features air conditioning, antiques, ensuite large bathroom with bathtub + rain shower. 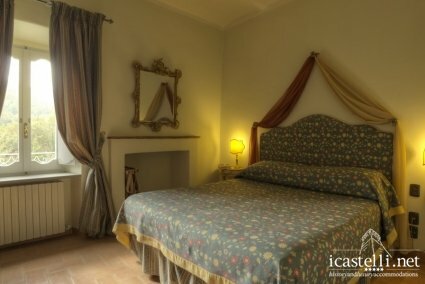 There’s a billiard room, a large dining panoramic veranda, a studio, and an exceptional fully equipped kitchen and lounge bar. 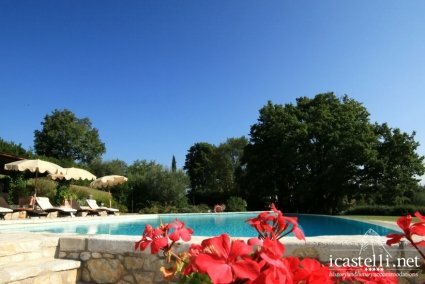 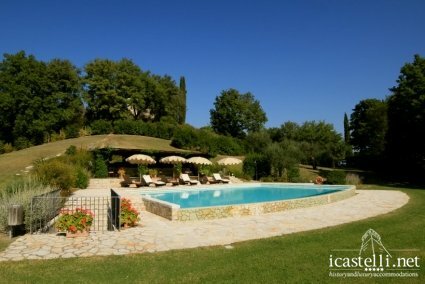 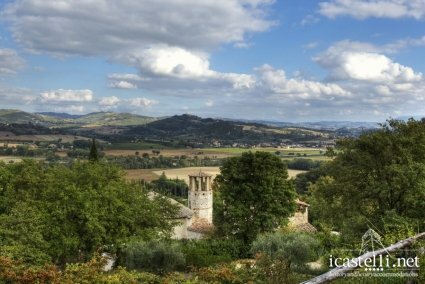 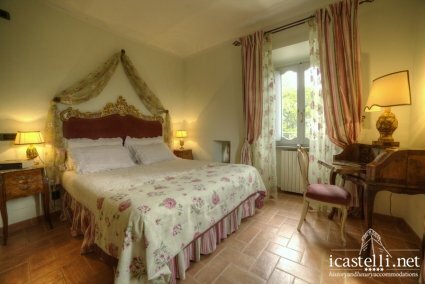 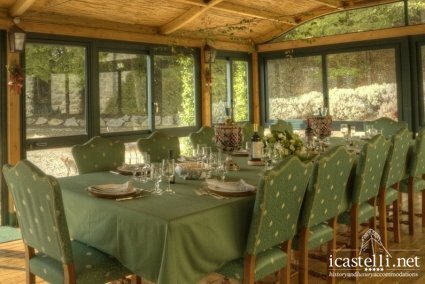 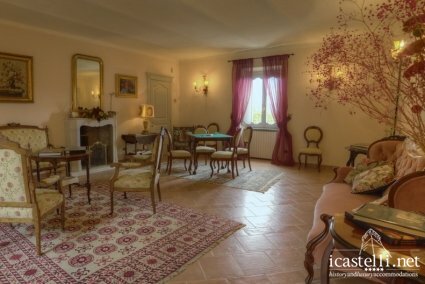 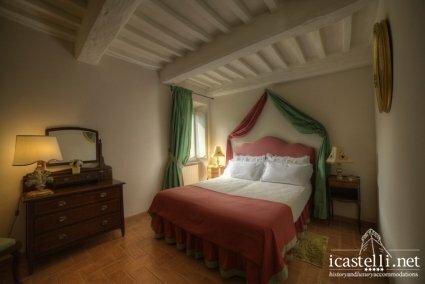 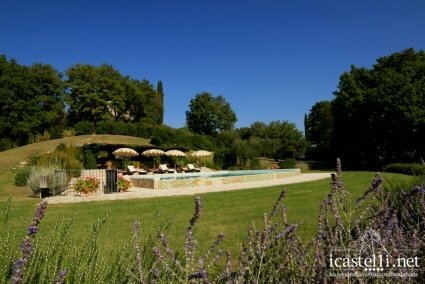 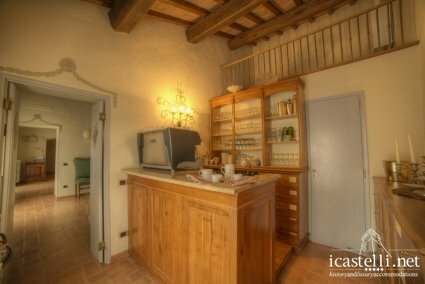 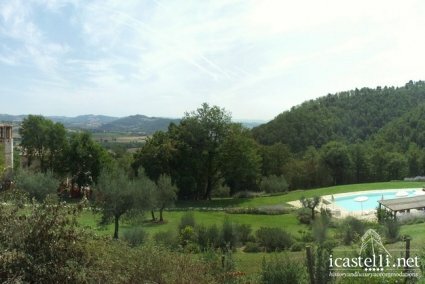 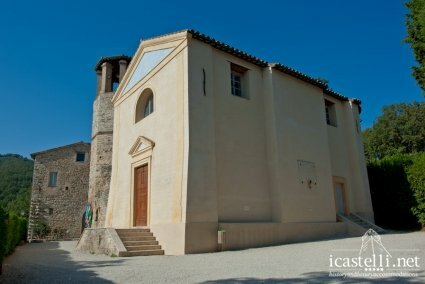 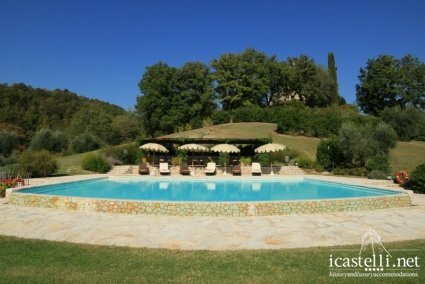 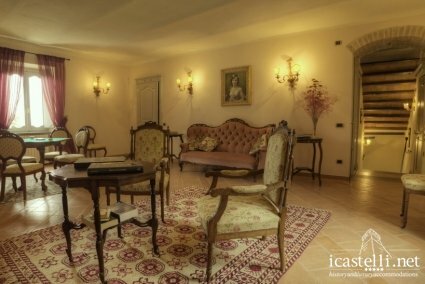 There are wonderful views over the Tiber Valley, extensive mature grounds and gardens including a botanic garden, a kitchen garden, a 5.000 sqm manicured garden, a very private 15 x 7.5 m infinity saltwater pool with stunning views and a large sheltered area covered with colorful roses, a stone BBQ, table tennis and children’s playground. 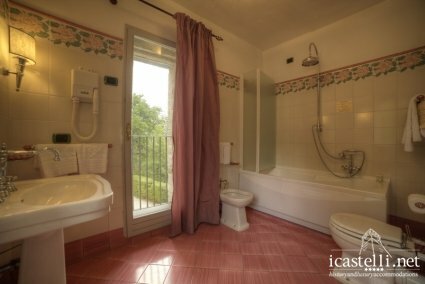 The house is fully staffed and services include: daily maid service, breakfast service, full gardening and pool cleaning service, mountain bikes. 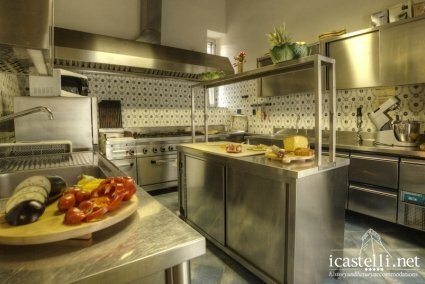 Butler, in-house cooker, baby sitter, shopping service, cooking classes and many additional activities are available on request. Restaurants, Villages with all shops, Tennis court, Horse riding and a challenging Golf course (18 holes – designed by Robert Trent-Jones jr.) are within 10 minutes drive.